I picked up the above advert on John Rentoul’s blog. The first thing they taught my on my first day at work is the importance of expectation management. 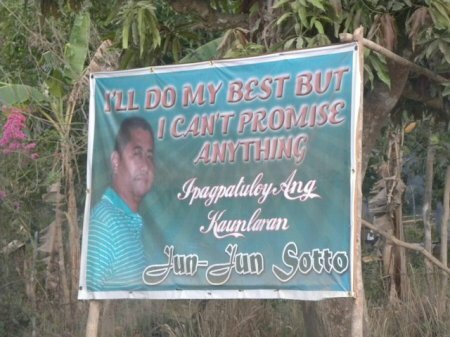 Clearly Jun-Jun Sotto’s campaign manager has spent some time in the account handling department of an ad agency. (Thanks to Ciaran for sending on).